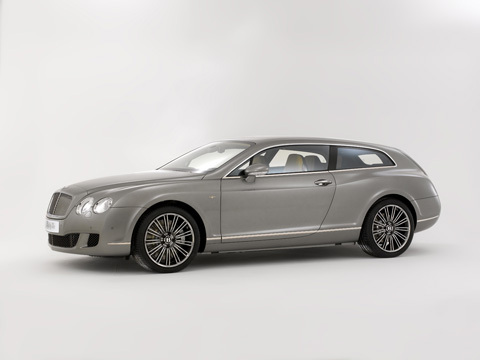 Is 2011 going to be the year of the shooting brake? The Geneva Motor Show’s press days (March 1-2) were my first chance to see Touring Superleggera’s Bentley Continental Flying Star and very handsome it is too. Although not officially sanctioned by the factory, I reckon that the two door estate body styling combined with Bentley’s quite brilliant mechanicals makes for a really compelling package. The Ferrari Four (FF), their first four wheel drive vehicle (and one obviously named by a Jensen Interceptor fan), was also launched at the show, and its looks divided opinions. From my purely subjective point of view, I’d say that the front shows a strong family resemblance to the 458 and the rest looks like the surprisingly happy result of a union between a 456 and a BMW Z3M. However, I did think that Shooting Gazette’s readers deserved answers to some key questions so waited half an hour to speak to Ferrari’s head of PR, while trying not to get caught gawping at the girls on the Maserati stand next door. SG: Is this Ferrari’s first shooting brake? Ferrari: While we are not actually calling it a shooting brake we much prefer that term to estate, so we will not object if anyone describes it like that. SG: Has it been designed to take shooting? Ferrari: It is a car that suits all elements of our customers’ lifestyles. SG: The video shows it tonking along what look like some rally special stages, so will it have any off-road capability? Ferrari: It does have four wheel drive and will come with optional packs to raise both the front and rear suspension but it is not specifically aimed at the off-road market. It does do 203mph, you know. SG: Will there be an all-terrain wheels and tyres package? 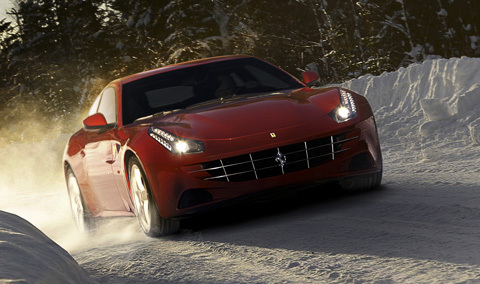 Ferrari: You will be able to get snow tyres. I have to go now. So there you have it, straight from the horse’s mouth: the FF will sort of be a car you can take shooting. Meanwhile, back in the real world, Land Rover showed half a dozen Evoques and very handsome they looked too. As I said before, colour will be key to whether you get away with driving one or not, but there will be huge scope for personalisation. Having had a good long sit in one (there’s a lot of walking in inappropriate footwear at these shows, you know), I can also testify that the interior is a very nice place to be. However, the Range Rover Autobiography Ultimate Edition is less successful. 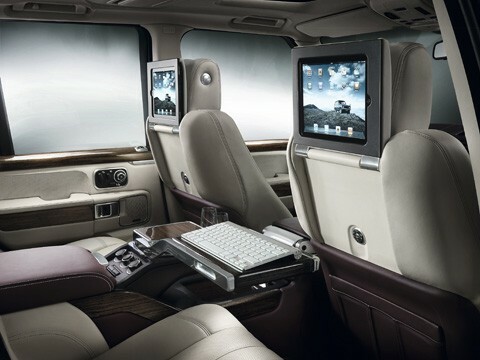 The iPad installations in the back of the front seats are masterful, but the woodwork doesn’t match and the teak boot lining is pointless. 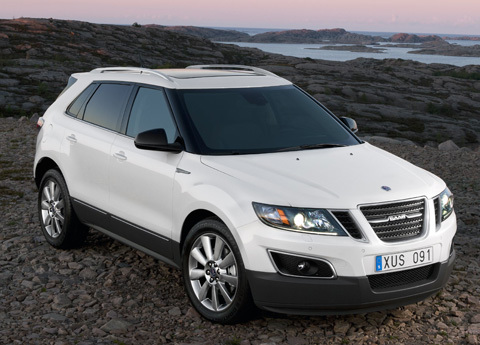 Finally, on a much more positive note, they showed a very trick Range Rover Sport with hybrid technology that will both single-handedly save thousands of minke whales and also make an affordable company car purchase. Roll on the introduction of the Range_e in 2012. 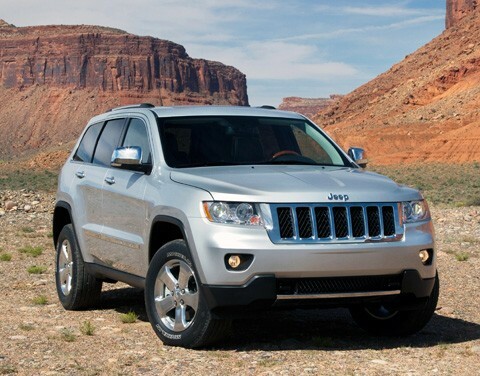 Other interesting cars from our point of view are the new Jeep Grand Cherokee, which looked very smart and the Jeep Compass, which is a very soft-roader type of Jeep and is therefore probably a little less interesting. Mercedes-Benz were showing off their terrifying G55AMG again, and it was also my first opportunity to have a good clamber over Saab’s 9-4X, which is probably a car they should have built 15 years ago. 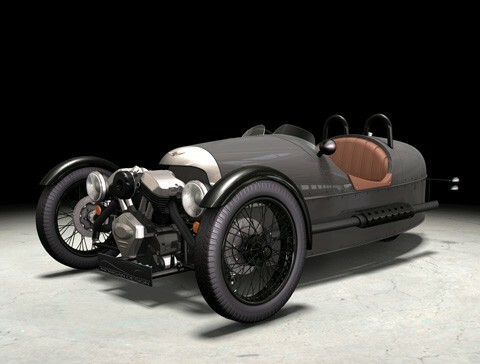 Away from the four-wheel-drives, Morgan showed a new one-wheel-drive model, the 3 Wheeler, and it is wonderful. The Malvern-based company has brought out a recreation of their pre-war motor trikes (two wheels at the front, one at the back, motorbike engine hanging out the front, don’t drive it too fast in reverse or it’ll fall over etc.) and, especially as my wife has loved them since she saw Peter Sellers driving an original one in The Party, I know that one day one will find its way into my garage. All Morgan vehicles are constructed by hand. Less likely to ever find my name on its V5 but filed under happy that they exist were new V12 offerings from Lamborghini and Pagani. Alfa Romeo also chose Geneva to launch an absolutely delicious new coupe and Norfolk’s own Lotus showed some real progress with their Evora 2+2. Click here to visit the official website of the 81st International Motor Show, Geneva. 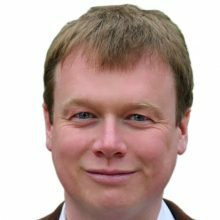 Ben Samuelson is the managing director of luxury brands marketing, PR and events agency Samuelson Wylie Associates. Click here to follow his inane ramblings on Twitter.